This article was originally published by Fast Company on April 4, 2019. To read the original, click here. You may have read that there’s a recycling crisis in the U.S. After years of accepting our used plastic and cardboard, China now won’t take it, which often means there is no place for it to go. Some city recycling programs—unable to find other buyers—have quietly started sending recyclables to incinerators or landfills, news that could make anyone question the point of separating your trash at all. But the news is both worse—and better—than you might think. Recycling was broken in the U.S. long before China’s announcement, but there are promising technologies poised to revolutionize each point where our system currently fails. The question is, can the solutions scale fast enough to make a difference? Some parts of the system do work. The aluminum in a beer can, for example, can easily be made into new beer cans, over and over again. But a plastic package might be chopped up, melted, mixed with other types of plastic, and “downcycled” into a lower-quality material that can only be used for certain products, like park benches or black plastic planters. When the U.S. was sending much of its paper and plastic trash to China, for more than two decades, the bales were often so poorly sorted that they contained garbage. The system never extracted the full value from those materials. If the final recycled material is bad quality, it’s difficult for the recycling industry to make enough money to afford to collect, sort, and process plastic waste, especially when the cost of oil is low and virgin plastic is also cheap. For recycling to be economically viable—and to have the most benefit for the environment—we’ll need to do things differently. China’s ban is “exposing a problem that we needed to fix anyway,” says Bridget Croke, VP of external affairs at Closed Loop Partners, an investment firm focused on the circular economy. “It’s really kind of been a wake-up call to clean up the recycling stream.” There are problems at every step of a product’s or package’s life—including the fact that many single-use packages arguably never should have been made in the first place. For anything that’s recyclable, the first challenge is getting it into the recycling system at all. One recycling startup estimates that around 34 million rural homes and around 16 million apartments—or around 40% of the households in the country—don’t have access to recycling at home. In rural areas, there isn’t enough population density to make it economical to invest in trucks (which can cost $300,000) and bins ($100 a piece) when the cost of that equipment needs to be split between a small number of homes. The startup, called Recyclops, uses an Uber-like model to bring collection to areas where it wouldn’t be feasible otherwise. “Especially in rural America, there’s a plethora of pickup trucks and a shortage of jobs,” says Ryan Smith, the startup’s founder. The company hires people to use their own trucks to pick up bags filled with recycling in a particular area, and then aggregates materials to bring to a recycling center. “We can identify a community, and then in 30 days, we could launch in that community because we don’t have to buy the trucks,” he says. “We don’t have to buy the bins. We don’t have to sign a city contract. We just have to start marketing to customers who sign up.” The startup also works with apartment buildings in cities like Phoenix, and it plans to expand to 40 additional markets this year. A nonprofit called the Recycling Partnership gives cities grants for supplies like recycling bins along with consulting to help expand recycling, funded by corporations like Coca-Cola and Pepsi that are desperate for a bigger source of recycled materials as they aim to increase recycled content in their packaging. The nonprofit also works with those companies to help them create products and packaging that are actually recyclable. Closed Loop Partners, which also works with large corporations, invests money from those companies in startups such as rPlanet Earth, an L.A.-area startup that has a closed-loop plant that takes in plastic containers and bottles and converts them into new food-grade containers onsite, in a world first. The fund also invests in startups with innovations across the entire recycling system.”We recognized that it wasn’t just one part of the system that needed to be solved for—we needed to address all of it in different ways,” says Ellen Martin, VP of impact and strategic initiatives at Closed Loop Partners. Those investments include some companies that focus solely on municipal recycling. In many cities, the current model has private companies, like Waste Management, that handle both trash and recycling for the city. But their business model is challenging for recycling rates. Waste Management rapidly expanded beginning in the 1970s, privatizing waste services that were formerly run by cities and now serves more than 21 million municipal and business customers. But the largest part of its business is trash, not recycling. (In 2018, its collection and disposal business made $693 million on a year-over-year basis, while its recycling business fell by $197 million.) Since it makes money when materials end up in a landfill or waste-to-energy plant, but loses it when people recycle, the company has no financial incentive to help increase recycling rates. “Big Waste” companies now run the majority of landfills in the country. Government can help change this, whether the laws are in the form of waste-reduction targets for a city or financial incentives to recycle, like the bottle bills that offer cash for recyclables that are in place in many states. “In pretty much all countries in the world, [those] that have high recycling rates have a significant set of regulations supporting that that actually makes the system functional,” says Rob Opsomer, systemic initiatives lead at the Ellen MacArthur Foundation, an organization that focuses on the circular economy. In Oregon, which recently expanded its bottle bill program, 90% of beverage containers were recycled in 2018; nationally, only about 29% of plastic bottles are recycled. Governments could also choose to add new taxes to landfills so trashing materials is less economically appealing. “The cheap economics of landfilling here in the U.S. is one of our biggest struggles,” says Kate Bailey, director of Ecocycle Solutions, a nonprofit that handles recycling in Boulder, Colorado. Transportation is another challenge. Glass, for example, is easy to recycle, but heavy to move—and because most glass recycling is centralized, it’s often uneconomical to ship it to those facilities. Closed Loop Partners has also invested in companies like AeroAggregate, which turns glass into a construction material that can be produced locally, increasing the value. 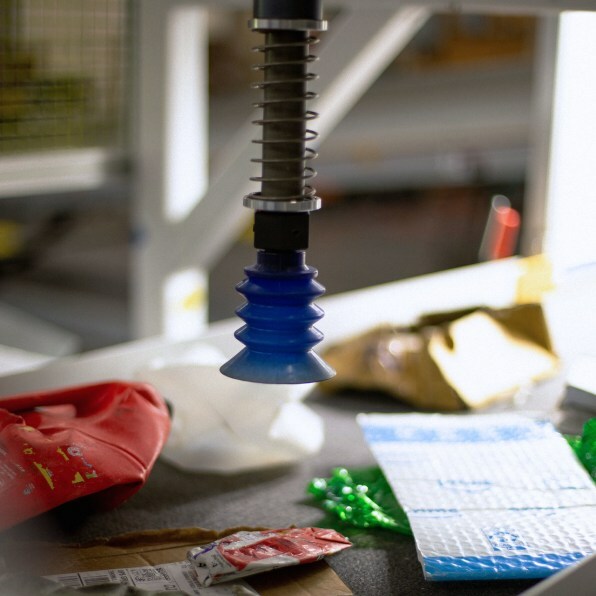 As materials move through a facility, the system uses gravity, screens, filters, and other techniques to separate out paper, metal, glass, and plastics; optical sorting equipment identifies each type of plastic. (It’s worth noting that the tiny numbers printed on plastic packages—#1 through #7, with the 1 through 6 standing for specific types of plastic and 7 standing for every other type—were never intended to help consumers recycle but were initially meant to aid in this type of sorting at recycling plants when it was done more manually.) Sorting is a crucial step to get right, because “cleaner” bales of each material are more valuable and can be turned into higher-quality recycled materials. PET plastic in water bottles, for example, is much more valuable than many other types of plastic, so it’s important to separate. If broken glass gets into the paper stream, the value of the paper drops. In some cases, contaminants such as plastic bags can also get in the machines and cause expensive shutdowns. For humans, work at sorting facilities is repetitive, unpleasant, dangerous, and difficult to do accurately at a high speed. But new technology is attempting to improve the process. AMP Robotics uses robots to sort materials—something that isn’t new—but uses advanced computer vision and machine learning to do it more accurately. In an industry with labor shortages and high turnover, the robots can replace most workers. The technology is able to track the type of material and can also recognize specific products (say, Coke bottles) to gather stats on how many of those products are making it through the recycling system and to potentially give the opportunity for brands to take back those products in a closed loop. 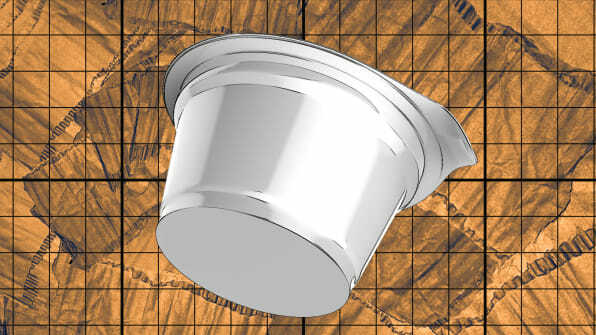 In Denver, for example, the system made it possible to start recycling coffee cups. The technology improves the economics of recycling both by reducing labor costs and by sorting more accurately so that the final bales sent to recycling plants are purer and worth more. The equipment, which requires a simple retrofit to existing machinery, also works quickly—picking up to 80 items each minute—and can work 24 hours a day. The system can also work on a relatively small scale, without requiring the volume of a large community needed to justify a large facility. All of this means that recycling can become more affordable and, therefore, more likely to happen. The company has installed its system in more than a dozen facilities to date and has dozens more in its pipeline. It also works with e-waste, another large and growing segment of trash. After materials are sorted, they travel to a reprocessor—such as a paper mill or a plastic reclaimer—to be turned into new materials that can then be sent to manufacturers. Inside a facility that reclaims plastic, magnets and other technologies pull any leftover metal out of the trash, and huge grinders chew up plastic into tiny flakes, which can then be melted, filtered, and made into plastic pellets that can be shipped to a factory to be remade into something new. For some materials, processing works smoothly. Aluminum cans, for example, go to a processing plant that shreds them into tiny pieces, sorts out any stray pieces of plastic or paper, and melts the metal in giant furnaces, creating a valuable material that can be fully reused in new cans. Traditionally, the process hasn’t worked that well for other materials; when you chop up and melt some plastics, the result is a lower-quality material that can only be reused a limited number of times. Other products are hard to recycle because they contain multiple types of plastic, or because the plastic is dyed. 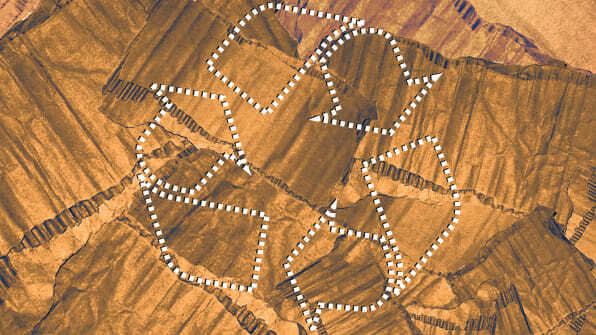 But this stage of the recycling process is also poised to transform. IBM has new technology that can recycle mixed, contaminated plastic that would have been difficult or impossible to reclaim in the past. A cotton-polyester-blend T-shirt, for example, can be transformed back into pure cotton and pure, virgin-quality polyester. A startup called Loop Industries has a pilot plant that can use chemical recycling to transform low-value plastic, even ocean plastic, into new, clean packaging for customers like PepsiCo. A new recycling plant under construction in Ohio will use a gas solvent and filtration to recycle polypropylene, or #5 plastic—something that typically isn’t recycled now, especially when it’s in something like a carpet backing—into a pure new material that can be used to make new food packaging. A biotech company in France recently demonstrated that it could use a biological process to recycle polyester T-shirts or colored plastic bottles into clear bottles. “To shift the needle and get recycling rates over 10%, you really need to focus on these low-value plastics,” says Priyanka Bakaya, CEO of a startup called Renewlogy. 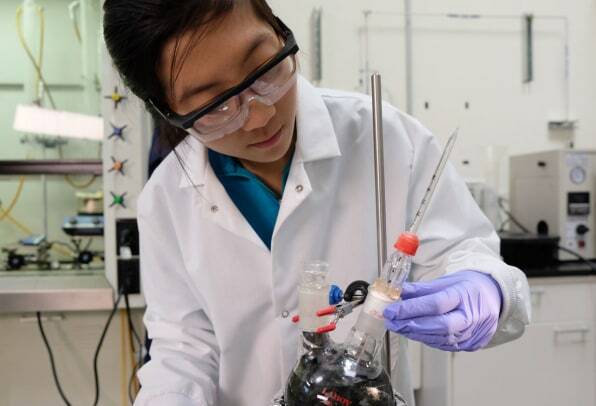 The company, which was founded at MIT, works with mixed plastics that otherwise likely wouldn’t be recycled and turns them into a low-carbon, cost-competitive fuel. It currently has a pilot plant in Salt Lake City, another under construction in Canada, and a third in the pipeline in Phoenix. Each of these companies are in the early stages, along with others in the space, but their technology could make it more likely that products are recycled. “The caveat is that they remain a largely unproven technology,” says Opsomer. Implemented the wrong way, some argue that some of these new technologies could also promote the use of plastics that we might otherwise phase out. “It’s saying, hey, your disposable fork, that plastic pouch you couldn’t recycle—all these nonrecyclable plastics, throw them in a bag and, and we’ll somehow do something with it,” says Bailey. “The problem is it’s just perpetuating the cycle of disposable, single-use plastics.” Still, Yao says, even if we largely eliminate products like plastic straws or forks, we’ll still have a legitimate need for things like plastics used to keep food fresh so it doesn’t end up as food waste—and for those plastics that can’t be recycled easily now, we could soon have better options. For many products and packages, their recycling fate is determined long before they end up in a recycling bin. The problems start with designers who often don’t have the right tools to make the decisions that will lead to future recyclability. Seemingly simple details might make something unrecyclable: A container, for example, might be made of #2 plastic but have an outer sleeve made of #1 plastic. Both are easily recyclable, but in a sorting facility, automatic equipment will see the label and identify the material incorrectly, sending the package into the wrong pile, where it becomes a contaminant. “We’re hoping that more conversation starts to happen between designers and recyclers,” says Ecocyle’s Bailey. It’s becoming more common, she says, that designers and companies tour sorting facilities and processing plants so they better understand what will happen at the end of the product’s life. In late 2018, a long list of major corporations, from Coca-Cola and PepsiCo to Unilever and H&M, committed to making packaging that is reusable, recyclable, or compostable by 2025; many also committed to increase the recycled content in that packaging. Nestlé Waters plans to increase the recycled content in its bottles to 50% in the U.S. by 2025, for example. The companies that the Ellen MacArthur Foundation works with have increased their targets from an average of 2% recycled content to 25%. That demand is critical to increase recycling rates, Opsomer says. At the same time, he says, plastic use is increasing so much—especially in countries that have far less recycling infrastructure than the U.S.—that it’s equally important to find ways to reduce the amount of waste that society generates. Right now, roughly 95% of the value of plastic packaging is lost after its first use, or $120 billion globally. At least eight million metric tons of plastic end up in the ocean. The problem isn’t just about landfills or ocean plastic; if plastic can be recycled, it can also make a meaningful difference for the climate. The vast majority of plastic products are made from virgin plastic. If the industry doesn’t change, plastic production alone could use 15% of the global carbon budget by the middle of the century. Adele Peters is a staff writer at Fast Company who focuses on solutions to some of the world’s largest problems, from climate change to homelessness. Previously, she worked with GOOD, BioLite, and the Sustainable Products and Solutions program at UC Berkeley. Blog: Recycling Matters: So, What Are We Wasting For™?